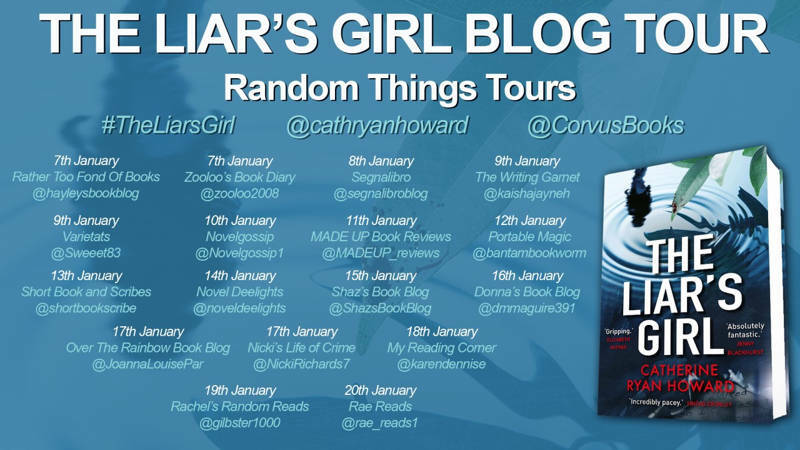 Welcome to my stop on the blog tour for The Liar’s Girl by Catherine Ryan Howard. When the opportunity to take part came up I was eager to take part as this is a book I won from the publishers in a Twitter giveaway. My thanks to them and to Anne Cater for the place on the tour. Her first love confessed to five murders. The truth was so much worse. Will Hurley, Dublin’s notorious Canal Killer, is in prison, ten years into a life sentence. His ex-girlfriend, Alison, has built a new life abroad, putting her shattered past behind her. Then the copycat killings start. Will holds the key to unlocking these crimes, but he’ll only talk to Alison. Can the killer be stopped before there’s another senseless murder? And after all these years, can Alison face the past – and the man – she’s worked so hard to forget? Or support your high street and use Hive. 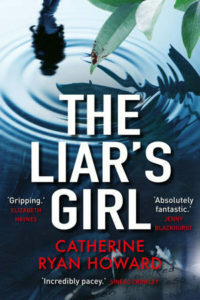 The Liar’s Girl is a book with such an intriguing premise. What if your boyfriend turns out to be a serial killer and how do you ever move on with your life? Well, if you’re Alison Smith you don’t really. Alison is the main voice we hear from, both ‘now’ and ‘then’. Ten years ago she had just become a student at St John’s College, Dublin, her best friend, Liz, at her side. Very soon after she met Will and they entered into a relationship. But students were going missing, their bodies found in the canal and it was Will who was charged with their murders and dubbed The Canal Killer. Now, new developments and a possible copycat mean that Alison is back in Dublin where she finds herself right back in the middle of the action. I really found her to be a fascinating character, considering all that she had been through and the way it had affected everything that happened afterwards. This is a book I was really looking forward to reading and I wasn’t disappointed at all. I raced through it, desperate to know if there really was a copycat killer, what really happened in 2007 and what was going to happen to Alison and Will next. It’s such a cleverly plotted thriller, fast-paced and completely gripping. I kind of want to know what happens to Will, Alison and Michael Malone, one of the Garda detectives (who I thought was great), next but I don’t know if they have another story in them or not. But I think it shows how engrossed I was as I don’t quite want to let them go. This is a story full of suspense, full of mystery, full of me wondering if Will was really the killer or not. The ending was pure class, in fact the whole book was pure class. I loved it. 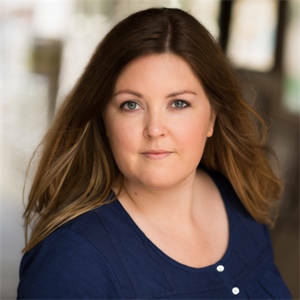 CATHERINE RYAN HOWARD was born in Cork, Ireland, in 1982. Prior to writing full-time, Catherine worked as a campsite courier in France and a front desk agent in Walt Disney World, Florida, and most recently was a social media marketer for a major publisher. She is currently studying for a BA in English at Trinity College Dublin. Her debut novel Distress Signals was published by Corvus in 2016 and was shortlisted for the CWA John Creasy (New Blood) Dagger. I didn’t know about this novel! It sounds brilliant, I need to check it out and add it to my list! Brilliant review! Really? Well yes, it is brilliant and yes, you should read it! Thanks so much for stopping by, Meggy.